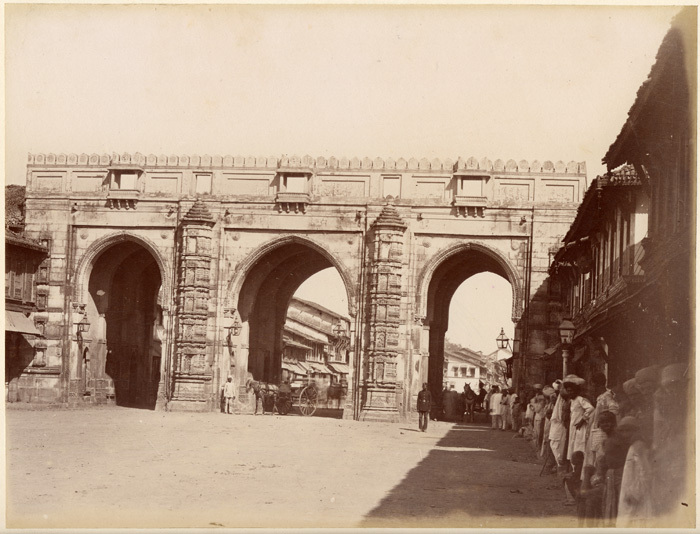 Teen Darwaza is a triumphal archway straddling the 'King's Way' which connects the royal citadel and Jami Masjid in Ahmedabad constructed by Sultan Ahmed Shah. It is 37' high, 80' wide and 45' deep. It consists of 3 archways, each of the same height, with the two side arches only marginally narrower than the central archway. The contours of the pointed arches are some of the best to be found in India. The parapet is skillfully arranged, being relieved by three elegant oriel windows on brackets. 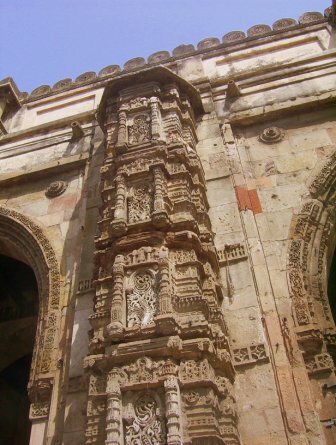 The buttresses projecting from the piers are richly carved.